Each time i’ve seen these guys they’ve been better than the last and guess what? They were amazing the first time. Tonight was no different, the MTC in Cologne was the setting, a small basement style club in the centre of this historic German city. As the lights dimmed the crowd started to scream, the Albany based band took to the stage accompanied by the sound of ‘TIme Is Now’ by John Cena, there was barely enough room to lift your hands above your head, the place was packed, signs outside confirming the sold out status of tonights show. 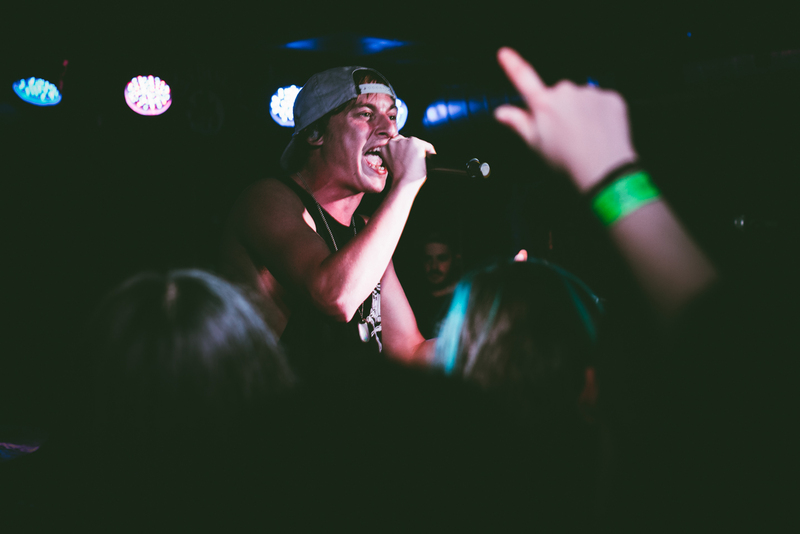 It’s not long before State Champs drop their eagerly awaited album ‘All Around The World And Back’, they kicked off tonights show with the catchy and upbeat ‘All You Are Is History’, considering the song has only been out a couple weeks the crowd reacted as if it was a classic, knowing every word. 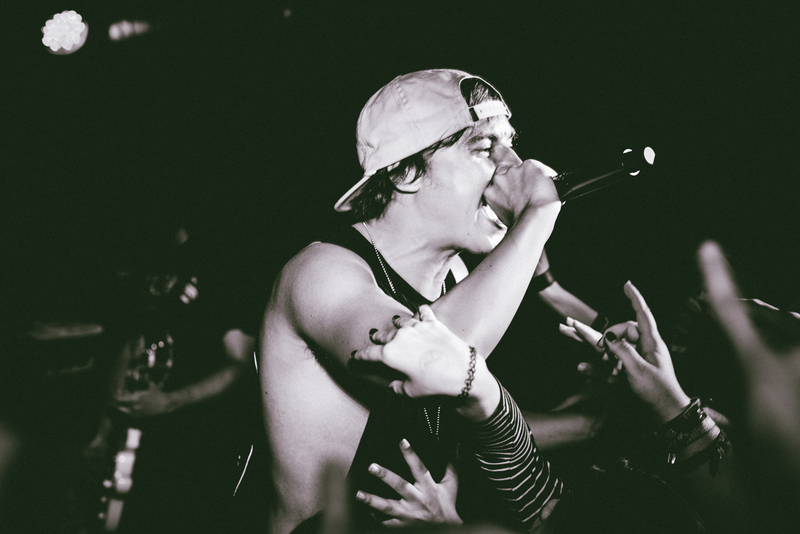 Frontman Derek DiScanio orchestrated the crowd like a seasoned pro, with his now trademark backwards cap and dog tags, interacting with them at every opportunity, he even took time out to praise the city and the venue for being his favourite in Germany so far. Judging by the atmosphere inside the MTC it’s easy to see why he gave this glowing review. He also thanked fans who’d travelled from outside the city and even different countries, showing his appreciation for their ever expanding fan base. The set featured 3 songs from their upcoming album and a load of fan favourites from their album ‘The Finer Things’. As the set drew to a close State Champs thanked their fans and left the stage to chants of ‘one more song’. it was fairly obvious they weren’t done though, their most popular song ‘Elevated’ hadn’t been played so nobody moved a muscle and awaited their return. As the guys took to the stage for their encore Derek addressed the crowd and told them that they’d play a couple more songs, making a point that they were headlining so could do as they pleased. You could tell that a headline show in Europe, so far from home really meant a lot to them, it was only this time last year they were playing 2nd or 3rd in line, but not tonight, the stage was all theirs. As the evening drew to to a close the fans left more than happy with what they’d seen and heard. If you ever needed evidence that State Champs are going to continue growing and will be huge in years to come then tonight was exactly that. Posted in Live MusicTagged Cologne, Derek DiScanio, Germany, music, punk, Review, State Champs, tourBookmark the permalink.